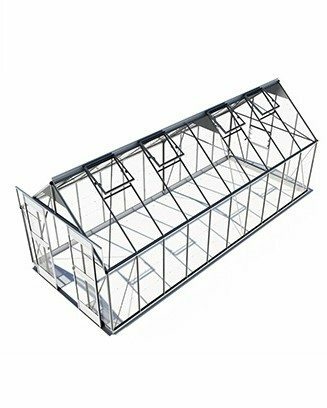 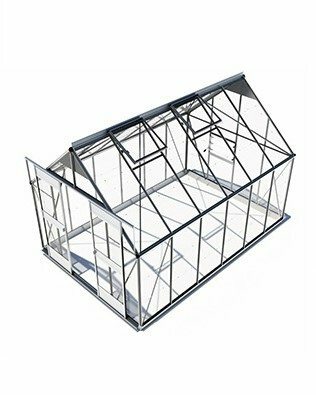 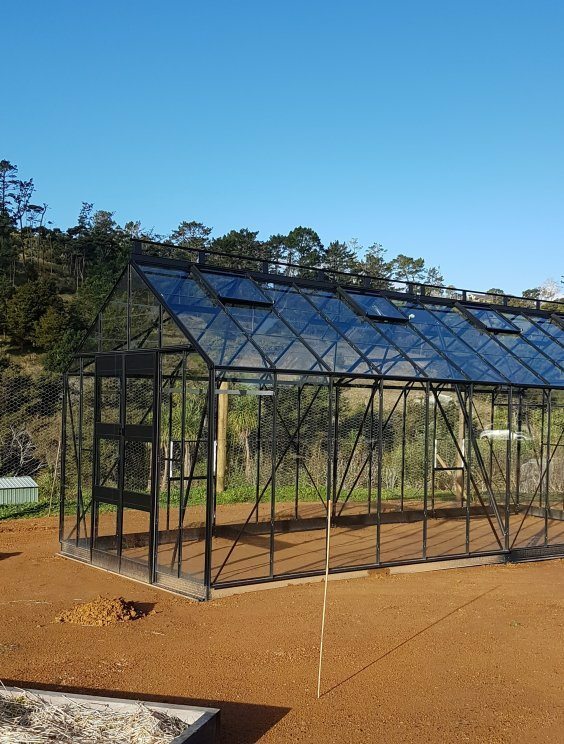 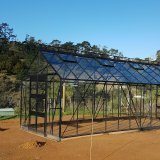 The Eden 10 Series glasshouses are ideal for the gardener requiring a heavy duty product that will withstand the harsh conditions that many areas experience. 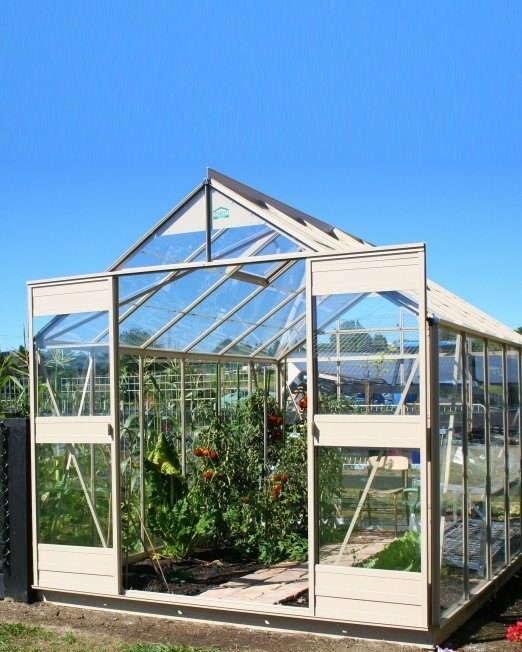 This design incorporates the flexibility and space of a large growing environment with the Eden modular concept, allowing options for partitioning and extra doors on request. 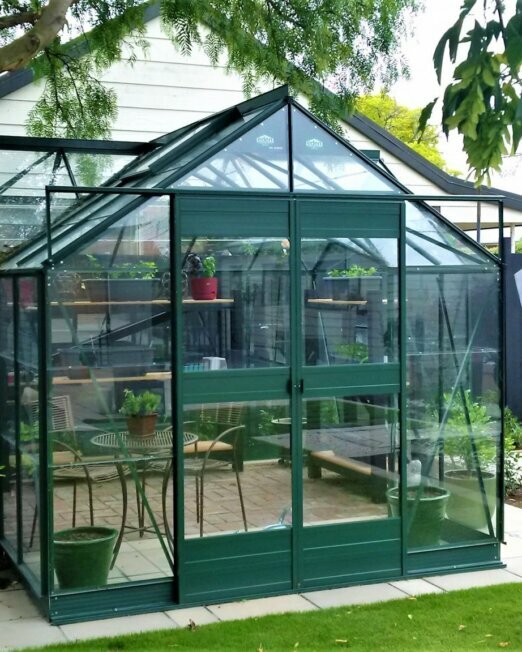 The GH1016D is one of the smaller models in the 10 Series range. 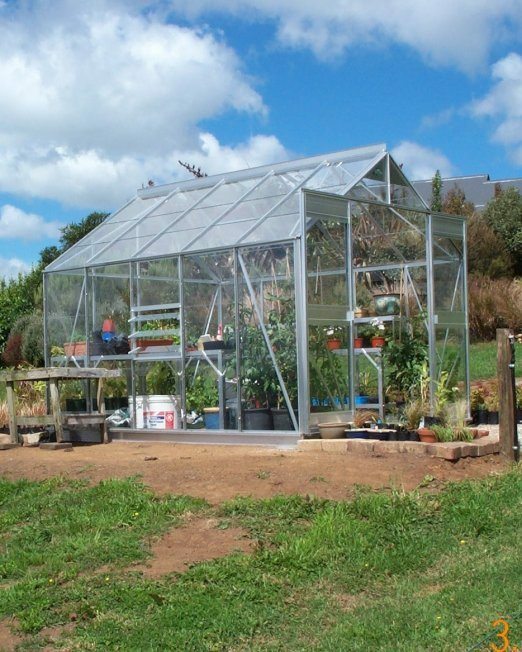 However, it is still a serious growing unit and is perfect for any serious backyard horticultural operation, or just for simply relaxing in with an outdoor entertainment area setup. 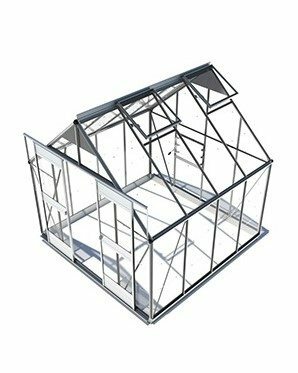 Please contact us if installation is required. 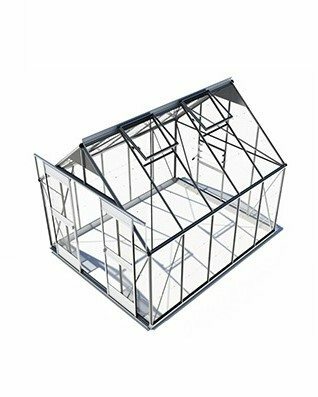 The GH1016D comes standard with 4 roof vents, each with an automatic opener. 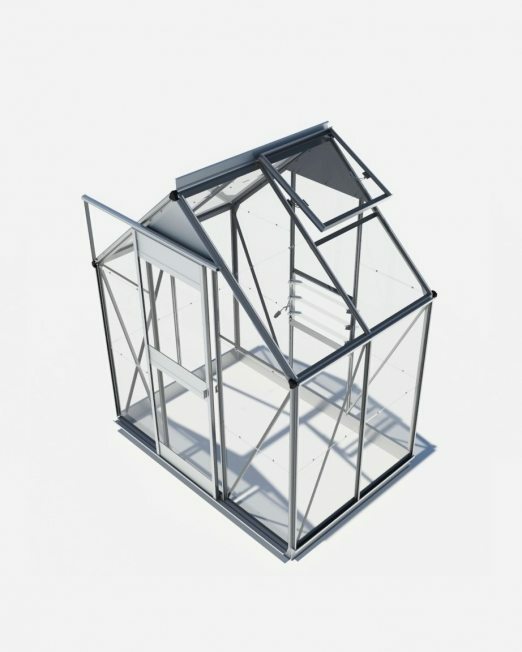 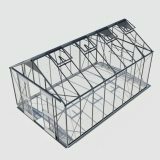 Add a powder coating to your glasshouse. 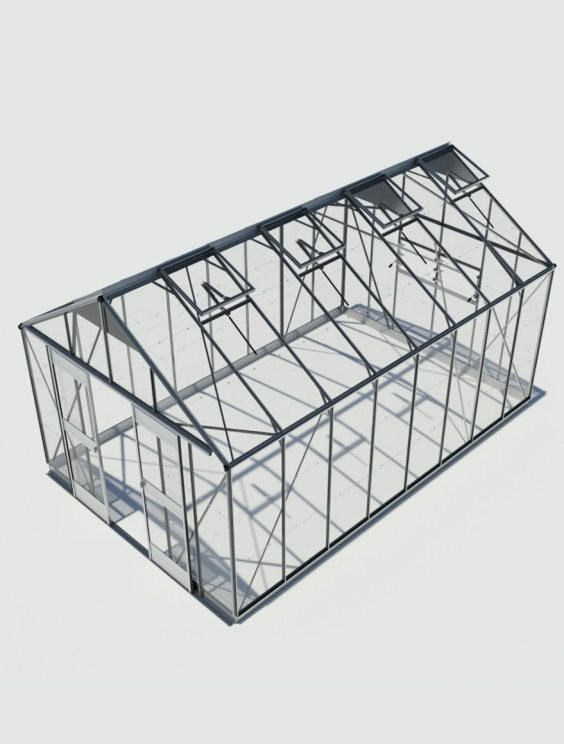 Note: The brushed aluminium finish will not rust – powder coating is purely aesthetic. 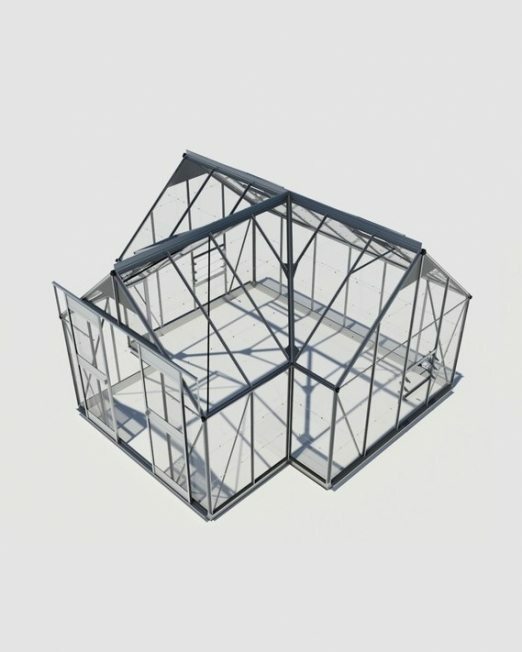 Allow 6 to 8 weeks.